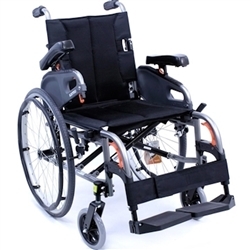 Removable Armrests and footrests - Hemi-height adjustable seat. 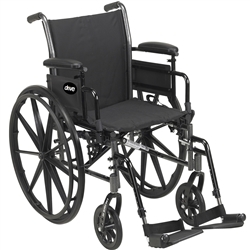 Weighs only 33 lbs - Hemi-height adjustable seat. 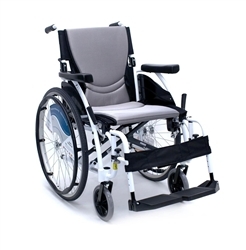 The folding backrest allows for a smaller height when folded. Break down and installation requires no more than 60 seconds. 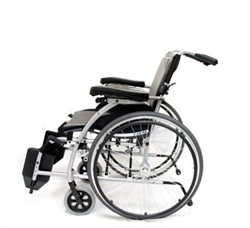 Most competitively priced, lowest price available at a wheelchair weighing 24 lbs. The chair folds down the middle like a standard wheelchair. 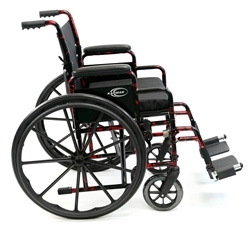 Lightweight Wheelchairs typically range from 28-34 pounds. 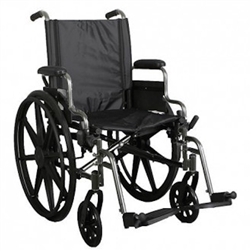 Our large selection of lightweight wheelchairs covers a wide range of needs and uses. 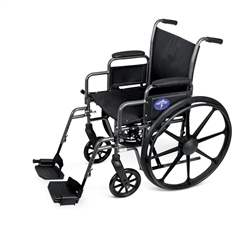 We also carry a line of ultralightweight wheelchairs, which start at under 14 pounds. Most are customizable and come in aluminum or titanium.